Things look a little quiet at the Albany city airport on this Saturday in November. City transportation supervisor Jon Goldman, who oversees the airport as part of his job, hopes to have the new operator in place by February, which should help give this city enterprise a boost. 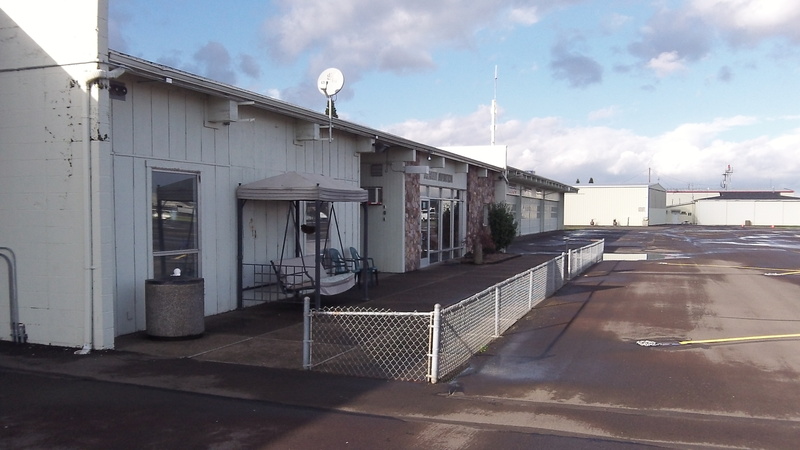 To prepare, the city intends to remodel the space that served as the airport office and lounge. It told two pilots using parts of that space for their businesses — flight instruction in one case and aerial advertising and spraying in the other — that their monthly leases would not be renewed and plans to resettle them in another part of the building. Meanwhile, the FBO negotiations continue, says Goldman, who gave commission members a draft of the proposed lease. The prospective new operator, now operating out of an airport in the greater Portland metro area, would plan on providing, among other things, a flight school as well as aircraft mechanical service and courtesy cars for arriving air travelers. 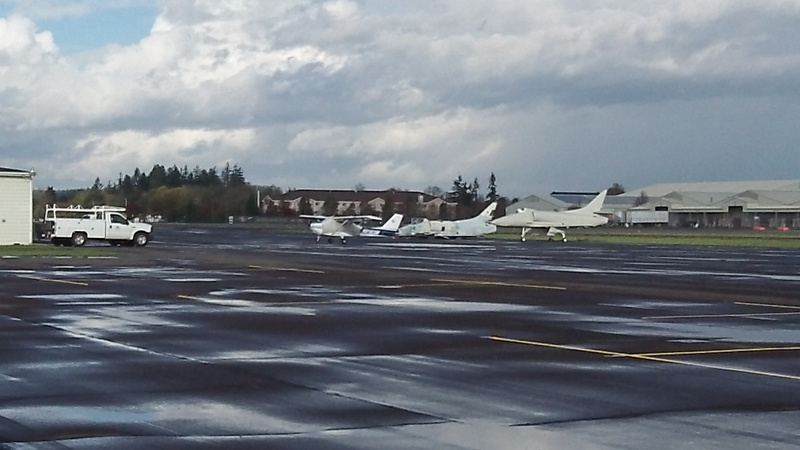 On the tarmac, vintage fighter jets await further restoration for static display.